To enjoy more features, please turn to its desktop version: Coolmuster Android Assistant. Is your Android phone getting slower and slower? Android phone produces increasingly junk files while you are using it and stores them in the internal memory. 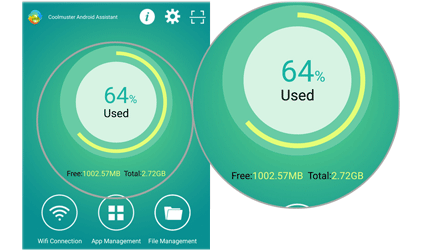 Fortunately, as an Android phone cleaner, the Coolmuster Android Assistant (Android Version) can help you clean up all junk files on Android to speed it up. 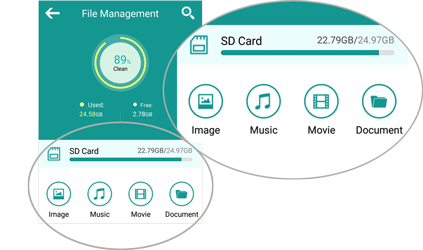 Automatically scan out all unnecessary files in Android internal memory for cleaning, such as junks, residual caches, privacy records, crash files, etc. Quickly clean up all junk files on Android with 1-click. Visually show how much the available memory, used memory, cleanable memory and total memory on your Android phone. Effectively reduce power consumption and protect your personal information from being leaked out. 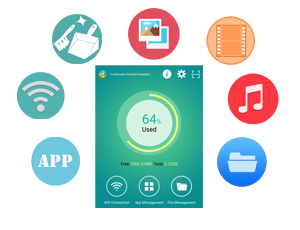 The Coolmuster Android Assistant (Android Version) can also serve as a Media Manager for Android, which helps you effectively manage your Android media files, including the other files on Android SD card. Freely copy and delete photos, music, videos and documents on Android phone. Directly copy, cut, paste or delete files on Android SD card. All types of files on Android phone will be loaded and shown for your reference. Automatically load and show all media files on your Android phone for preview. As an App Manager for Android, the Coolmuster Android Assistant (Android Version) helps you manage all applications installed on your Android phone. Automatically detect and mark all running apps on Android, and selectively stop one or multiple apps at a time with one simple tap. 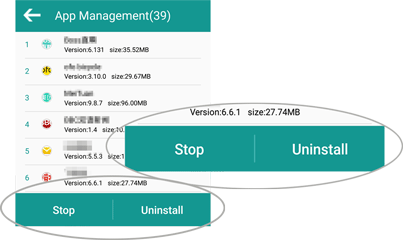 Automatically load all installed apps on Android, and selectively uninstall one or multiple apps at a time with 1-click. Freely check the amount of applications installed on Android and the details of all apps, such as app version and app size. 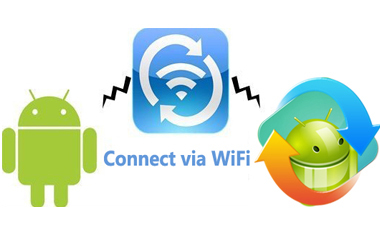 Coolmuster Android Assistant (Android Version) allows you to connect Android to PC via Wi-Fi easily without using USB cable. You will need the Android version of Android Assistant to connect wirelessly or via USB when you use the following Coolmuster products. > 1-click to clear up system caches, residual caches, privacy records, crash files, etc. on Android to free up memory and boost up Android phone. > Preview, search, send, resend, reply, forward, copy, delete, reset, export and import text messages. > Preview, search, add, edit, delete, export and import contacts. > Preview, search, delete, export and import call history. > Copy, delete, import and export photos, music and videos on Android. > Add, delete and export documents & books in *.txt, *.pdf, *.doc, *.docx, *.epub, etc. formats. > Directly preview, copy, cut, paste or delete files on Android SD card. > Preview, search, stop, install, uninstall and export apps on Android. > Back up contacts, SMS, call logs, music, photos, videos, books, apps to computer. > Import contacts, messages, call logs, photos, videos, music, apps, books from computer to Android. > Backup everything on Android and restore backup files with 1 Click. > Take a screenshot for Android screen and save it on computer. > Manage multiple Android devices on computer simultaneously. Concise user interface and step by step wizard make even computer novice can handle this software without any trouble. Work well on all Android devices, including Samsung, HTC, LG, Motorola, Sony, etc. Do NOT need any other third-party program while you're running this program.